Don't feed your birds to the pigs. In order to avoid a long battle, you should take the time to know your enemy. 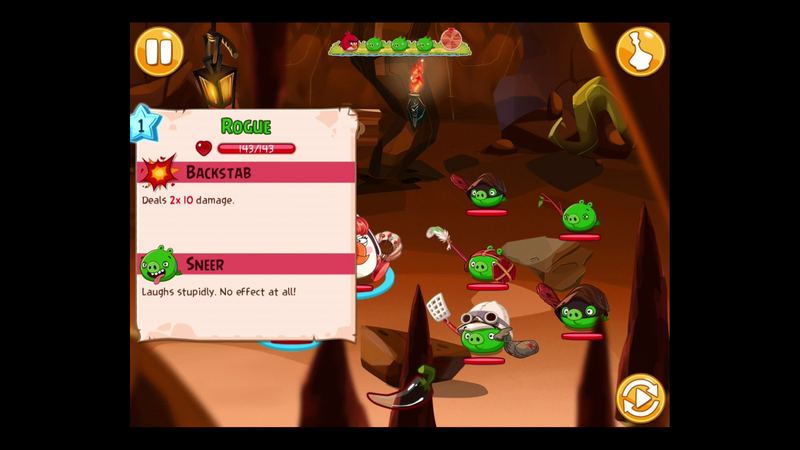 We did the research and made it easy for you in this Angry Birds Epic enemy guide. If you're in the heat of battle against a pig you've never faced before, keep reading to get the 4-1-1 on some of the pigs we encountered during our play-through. We listed some important details like health, secondary ability, primary attack and damage with a few tips on how to break them down. Strategy: Your standard enemy pig with minimal low HP, this weakling dishes out a measly 12 damage with a poke. Any bird at any level will be able to take him out. 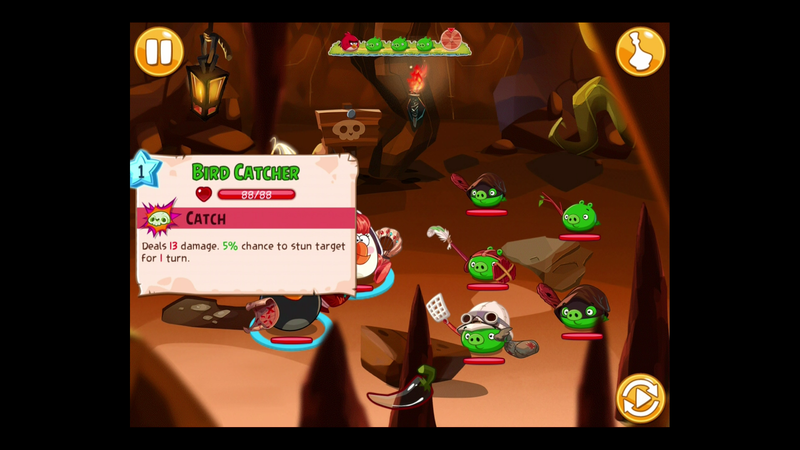 Strategy: A little tougher than your standard pig, the Bird Catcher does 13 damage with a 5 percent chance to stun you for one turn. Not a pig to get your feathers ruffled over. Any bird at any level will be able to take him out. 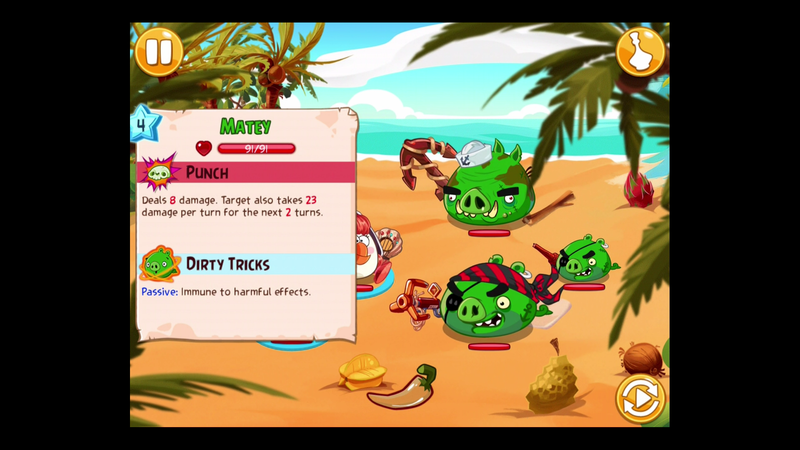 Strategy: Stronger than your average pig, the Rogue Pig has 143 heath and does double damage (2X10). If there's a stronger enemy, make him next on your list. 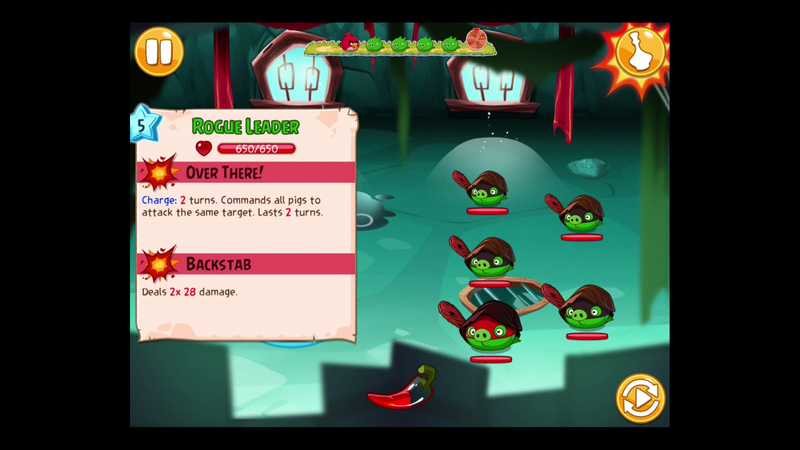 Strategy: The leader of the Rogue takes two turns before he unleashes double damage (2X28). He would be close to the top of the priority list because of his damage amount and slow attack turn. Try to take him out before he unleashes his attack. Strategy: The lowest in the Pirate Totem pole, but not to be taken lightly. His Punch attack does eight damage and also dishes out 23 damage for two turns. 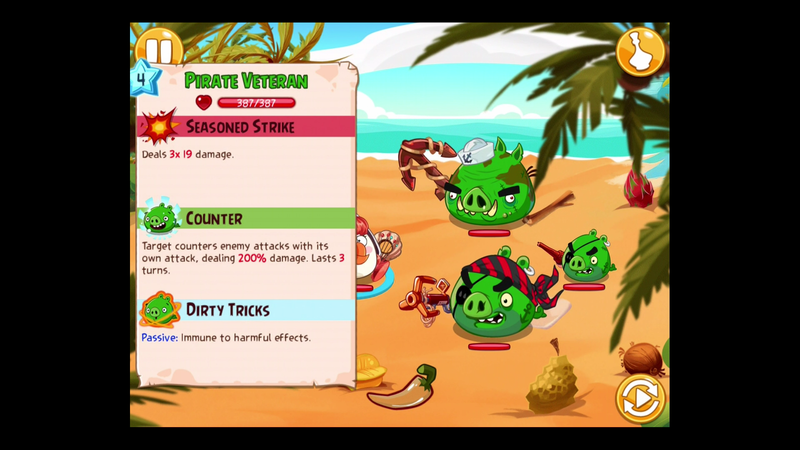 Pirates are immune to harmful effects, so attacks like thorn don't effect them. Strategy: The lieutenant of the Pirates and not one to be overlooked. 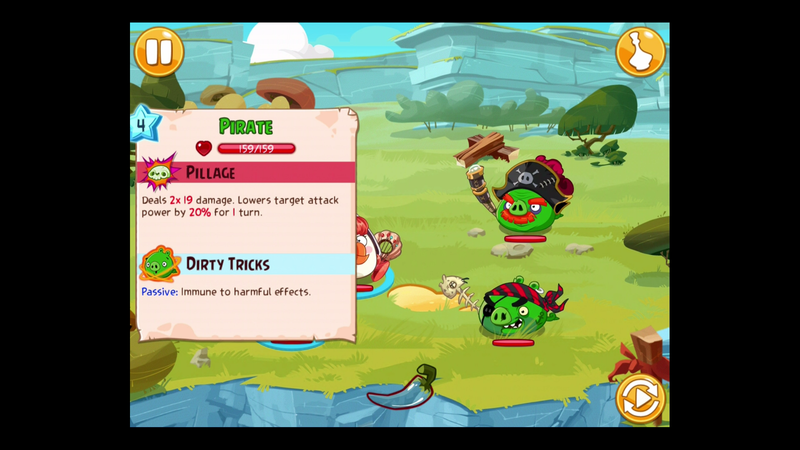 His Pillage attack dishes out 19 damage for two turns while lowering attack power by 20 percent for one turn. Pirates are immune to harmful effects, so attacks like thorn don't effect them. Strategy: He would be considered the Commander of the Pirates and someone you should pay attention to. His Seasoned Strike attack deals (3X19) damage and counters enemy attacks with his own attack dealing 200 percent damage that lasts for three turns. Pirates are immune to harmful effects, so attacks like thorn don't effect them. Strategy: He would be considered the Admiral of the Pirates and someone you need to take out fast. His Haymaker attack dishes out 78 damage to all enemies, taking three turns to power-up. Try to take him out before he unleashes his attack. Pirates are immune to harmful effects, so attacks like thorn don't effect them. We're going to keep this Pig enemy guide updated with a list of the hogs we come across, so revisit this page for more tips and strategies on how to beat them. We recommend you check out our guide for more details on how to select your Classes, Weapons and Off-Handed items for battle. Don't let your eggs get scrambled and remember to like us on Facebook so we can team up to stop King Pig. Share your tips and strategies for beating some the pigs we haven't seen in the comments below.